There are currently 46 million smokers in the U.S. and 47 million ex smokers. Over the past several decades startling information about the dangers of smoking helped start a movement that led to smoking being banned from more and more public places. Smokers who could once smoke anywhere can now smoke almost nowhere. There are ongoing smoking cessation clinical trials to help those who struggle with this addiction. Smoking cessation clinical research is vital to help people quit and begin to reduce the devastating health and financial costs of smoking. Smoking cessation (quitting) is the process of slowly reducing the amount of smoke inhaled over a certain amount of time. While mainly used in the case of cigarettes and nicotine, smoking cessation can be talked about as relating to any type of tobacco. Smoking becomes a physical addiction and a psychological dependency. Most smokers who attempt to quit will do so many times before they are successful. Up to ¾ of smokers do eventually quit with no help. The gradual reduction of smoking cessation lessens the severity of withdrawal symptoms and attempts to make the process more bearable. There are several products on the market today to help with smoking cessation treatments. These include nicotine replacement therapies (NRTs). NRTs come in the form of nicotine patches, gums, lozenges, and sprays. They help slowly reduce a person’s exposure to nicotine over time. There are also several medications available to help smokers quit. These include antidepressants such as Zyban and Chantix. These drugs aim to reduce cravings for cigarettes. Non-medical smoking cessation treatments include the smoker gradually reducing the amount they smoke. 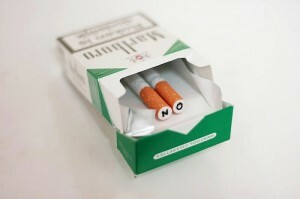 In recent decades there has been a huge shift in society in the acceptance of smoking. People are also more educated about the dangers of second hand smoke to non-smokers.